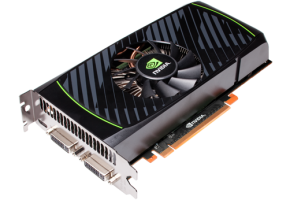 Palit Microsystems Ltd, the leading graphics card manufacturer, announces the new generation of performance level graphics cards – GeForce GTX 560 Ti Series. 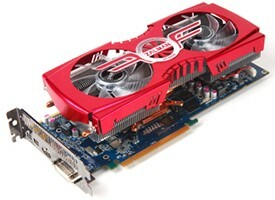 Including GTX 560 Ti Sonic, GTX 560 Ti 2GB and GTX 560 Ti, Palit customized design GTX 560 Ti Series come with complete line to bring you best gaming experience. Featuring 4.2GHz for the 1GB GDDR5 frame buffer and a 10% bump for core speed from 822MHz to 900MHz, Palit GTX 560 Ti Sonic can boost 9% higher than non-OCed in DX10 performance and 4% faster in DX11. The massive factory overclock also enables Palit GTX 560 Ti Sonic beating Radeon HD6950 with ease. 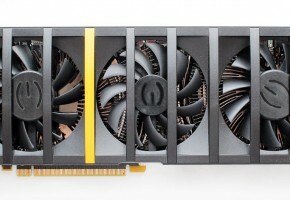 An 11% faster performance, Palit GTX 560 Ti scored 10320 in 3DMark Vantage benchmark. Moreover, Palit GTX 560 Ti Sonic provides killer performance in the hottest titles, 32% faster in Lost Planet 2 and 19% in FarCry2. 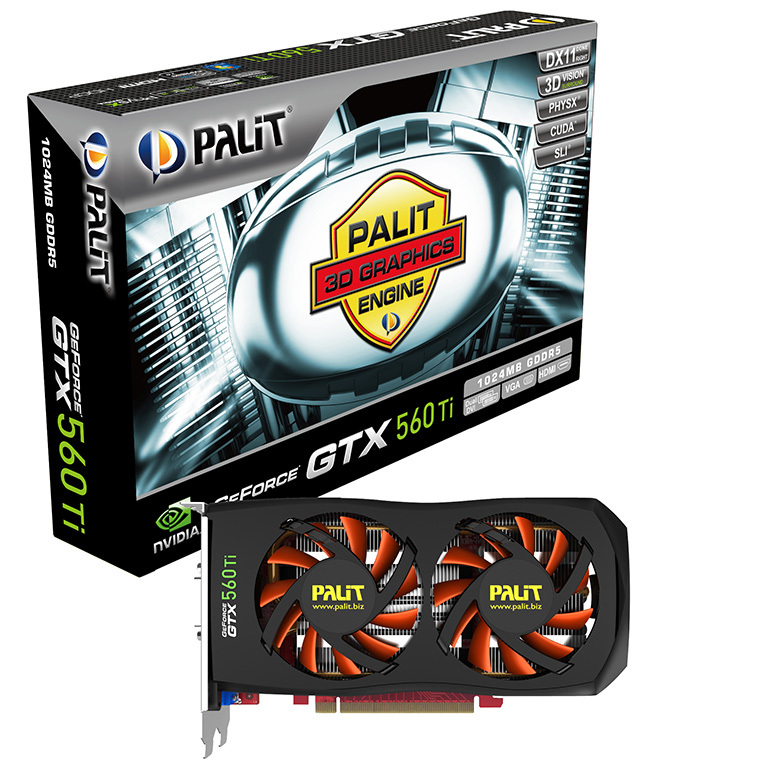 Palit GTX 560 Ti is the top choice for enthusiast gamers! 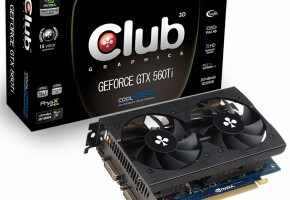 Palit also offers a 2GB option in GTX 560 Ti series. With 2X memory size, Palit GTX 560 Ti 2GB support better performance at maximum resolution monitor while GPU works alongside the CPU to drive fantastic graphics performance. You can enjoy the extreme performance while playing the latest DX10/DX11 PC games under HD large screen with Palit GTX 560 Ti 2GB. 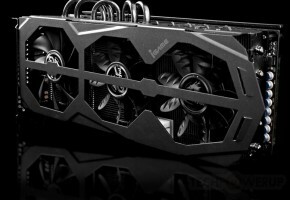 Equipping the premium GTX gaming technologies such as NVIDIA Surround, 3D Vision, PhysX and powerful SLI technology, Palit GTX 560 Ti Series is built for the best in gaming performances! As always, Palit use a more friendly output solution than reference design which including two Dual-link DVI, VGA and a full-size HDMI. And the new cooler comes with dual fan and heat pipes which offer an ideal thermal solution. While the double air flow provides an efficient cooling, the new cooler helps to optimize the gaming performance. However, the compact size allows you to enjoy the excellent thermal performance without compromise with your case. Built on architecture enhanced GF114 chip with Fermi 2.0 architecture, Palit GTX 560 Ti Series offers better performance per watt. Play with Palit GTX 560 Ti Sonic for blistering performance, enjoy maximum resolution monitor with Palit GTX 560 Ti 2GB or have fun with the compact size Palit GTX 560 Ti, Palit GTX 560 Ti Series offer brilliant gaming experience.